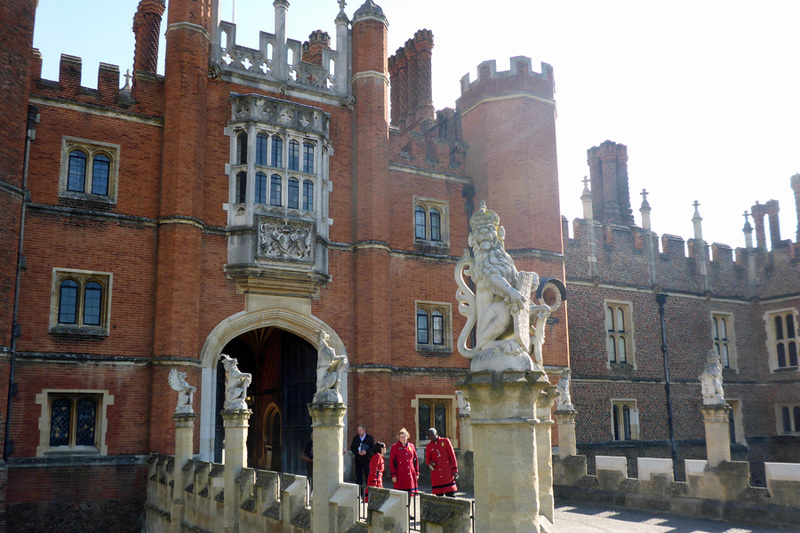 An inspection of #Hampton #Court #Palace – Henry VIII’s old pad in Richmond – The Diesel-Electric Elephant Company. Hampton Court Palace, one of Henry VIII’s favourite pads. After the long stroll up the driveway this is the self-same archway that Wolsey and Henry VIII would have ridden through many a time. Hampton Court Palace is a royal palace in the London Borough of Richmond upon Thames, Greater London, in the historic county of Middlesex, and within the postal town East Molesey, Surrey. It has not been inhabited by the British Royal Family since the 18th century. The palace is 11.7 miles (18.8 kilometres) south west of Charing Cross and upstream of central London on the River Thames. 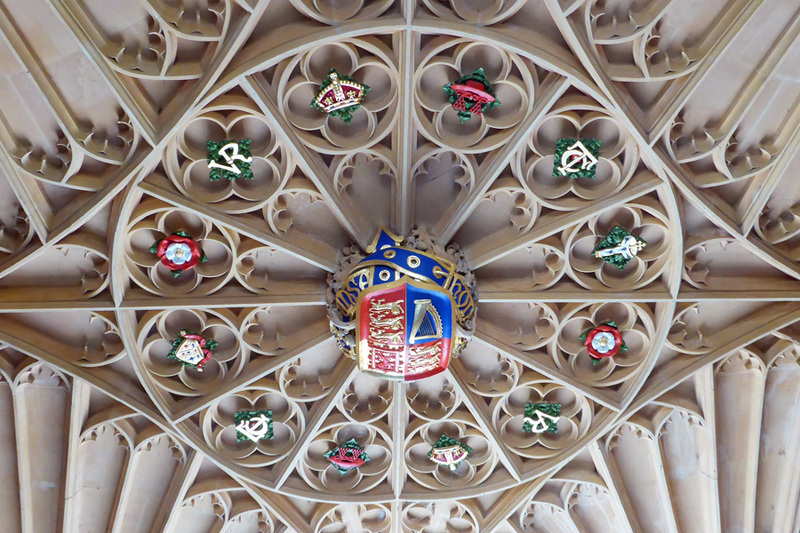 Redevelopment began to be carried out in 1515 for Cardinal Thomas Wolsey, a favourite of King Henry VIII. In 1529, as Wolsey fell from favour, the King seized the palace for himself and later enlarged it. Along with St. James’s Palace, it is one of only two surviving palaces out of the many owned by King Henry VIII. Hampton Court Palace on the banks of the Thames, where all of the nobs and courtiers would have sailed in and out on a frequent-flyer basis. The Bro and I inspected it recently, and found it to be not wanting. The place is neat and tidy and has not been glitzified or Disneyised, for which we are truly grateful. From central London on the advice of no fewer than three tourist information geezers and geezesses we took a long, long tube ride followed by a long, long bus ride – only to find out that there is a national railway station just yon side of the Thames with a direct train to/fro Waterloo… So getting back into London was a whole heap swifter and easier! You don’t get porch ceilings like these in a Barratt Home. The Great Hall – a wonder of the world, with the most amazing tapestries, stained-glass windows and vaulty-vaulty ceiling. Cardinal Wolsey went a bit OTT with his home, and this is one of the reasons why Henry VIII snaffled the place immediately Wolsey fell out of favour. 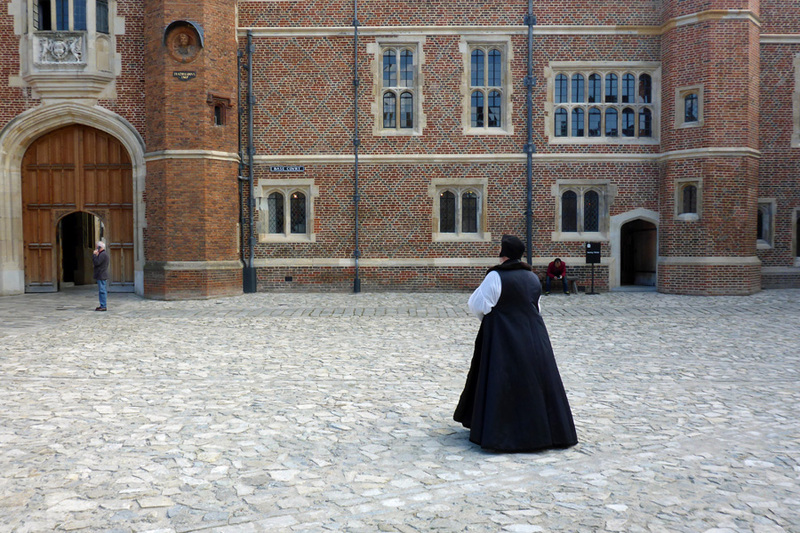 Again, as with the galleries and museums in London full to the brim of treasures that a chap can just stand and gawp at, so Hampton Court Palace is amazing in that a body is free to just wander from room to room in the footsteps of giants of history. Were I to have stood in Henry’s great hall while he was around I would likely have met a sticky end, and yet just a few futuristic centuries later it’s all mine for the photographing and the sitting down and the ooh-aah’ing. This is the Tudor equivalent of striped flock wallpaper. 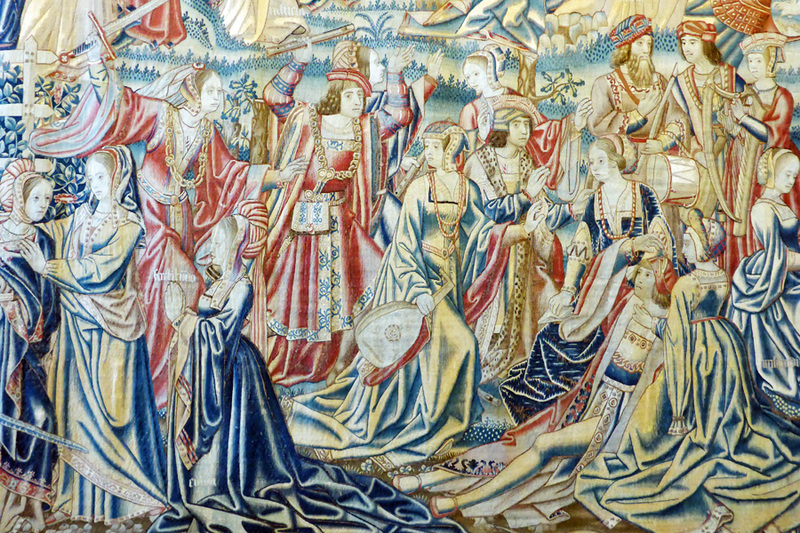 The wall-hangings would have been a brash riot of brilliant blue, red, gold and green but after all of these centuries they’ve been muted by stray UV and now are much more suited to current tastes. Cardinal Wolsey ascertaining a few facts before deciding how to let His Grumpiness, Henry know about his latest wife’s infidelities. 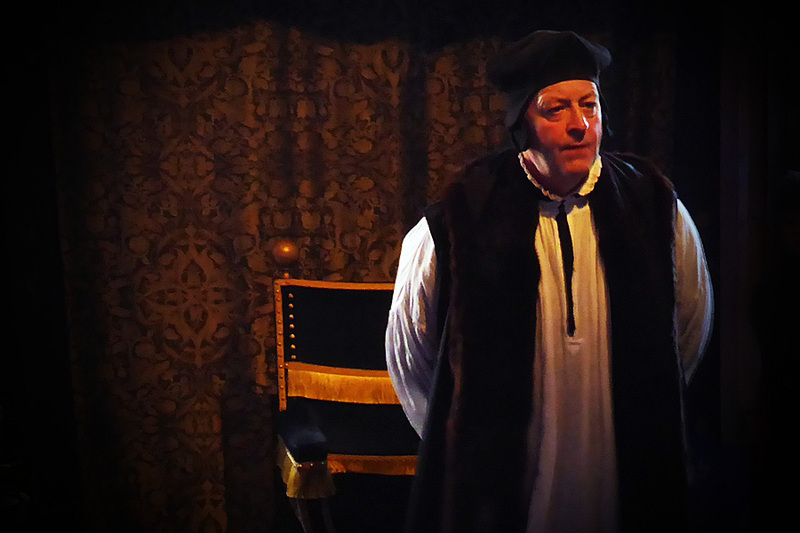 There are no guided tours as such, but there are re-enactments of some of the actual incidents that would have taken place – re-enacted in the very rooms where the original action took place! Catherine ‘Give-us-a-kiss’ Howard’s wee affair with one Thomas Culpeper and their sticky mutual demise was the order of play for the day that we were there. Letters were discovered, messages passed about and everyone rushed from room to room like loons. This made it somewhat le difficile to photograph the place or the proceedings, since everyone was everywhere most of the time. Hey ho nonny nonny, hey ho. One thing that the place lacked, if lack be the correct word, was any feeling of other-occupation. Ghosts. Not a one. No, as far as ghosts are concerned, I’ve seen better at Winnington Hall in Cheshire. Many years ago while running an exhibition there I saw a woman walk into the gallery and towards me, so I gathered a catalogue and price list, stood to greet her and she was gone. Upon describing her to the staff they immediately identified her as “The White Lady” (she was indeed wearing a cream dress when I saw her) and a regular in the halls of the Hall. Thereafter for the remainder of my exhibition I was made a stop on public tours and had to describe the experience. It was all very matter of daylight fact to me. However, the dark shadows and lurking presences of whatever else was living in the place were not such ordinary things… Hampton Court though? Nothing. Da nada. Zip. 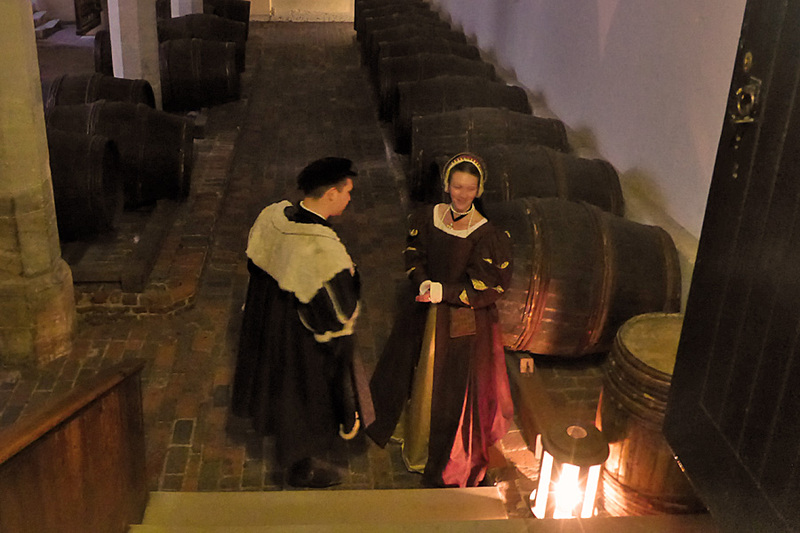 Even in the wine cellars, from which Henry VIII’s court got through about six hundred barrels of wine a week. Chateau Puissance Grand Cru Tudor Knock-Back, a cheeky little wine with a full, firm body and with hints of blackberry, blueberry, beriberi and burning tyres. It’s a wine for laying down (and avoiding). 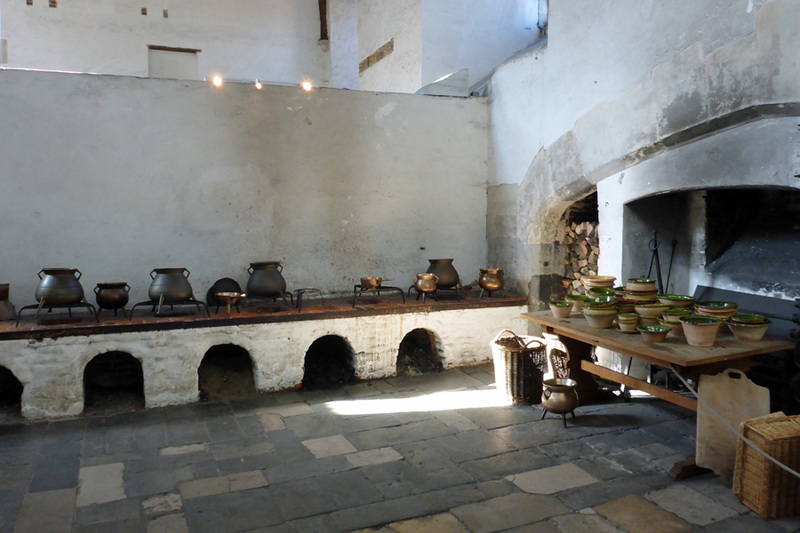 The kitchens at Hampton are vast, and it is easy to imagine them bustling with panic and feverish activity as they catered not only for his Big Kingliness, but also for hundred and hundred and hundreds of guests and servants and wotnots. Muesli orders, green side-salads, veggie-burgers and steamed tofu dishes by the thousand each day. 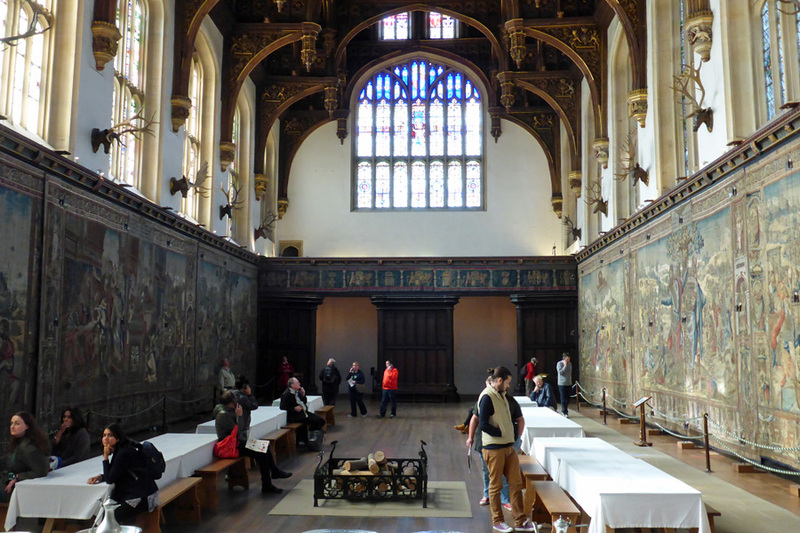 The kitchens at Hampton Court Palace were not supplied by B&Q. Not a microwave in sight. 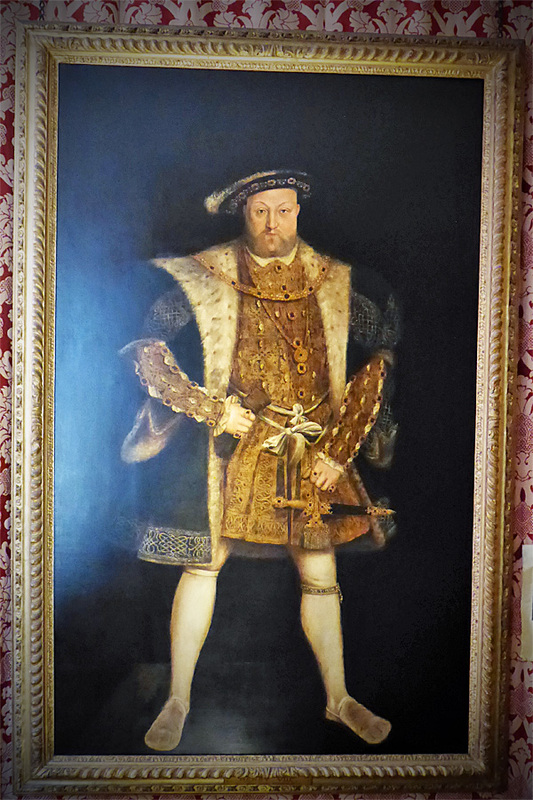 Of course, no palace would be complete without a portrait of Henry, and here is one in his more commonly known guise as a bit of a fat and smelly old despot. In fact, like most of us, in his younger days he was quite the dashing, sporting cad. Still, when one is King, one mustn’t look like a queen [Confucius]. His Kingth in all of his glory (and best tights). Alright, alright, so it’s just a blackbird or something and not a raven, but I’m doing the best that I can with what was to hand. Sheesh! What do you think I am, the Raven-Whisperer? I had a great description of HCP from my bro who some 40 years ago was one of a team called in (from N.Wales??) to lay new carpets there. A bit nicer than in Wolsey’s or Bluff Hal’s days no doubt. But I was not supplied with such excellent photography and commentary by my bro so I thank you for that. That’s a given. You can’t have the great unwashed trampling your carpets and pinching the best china. But (grovel) maybe a few chosen guests from time to time? 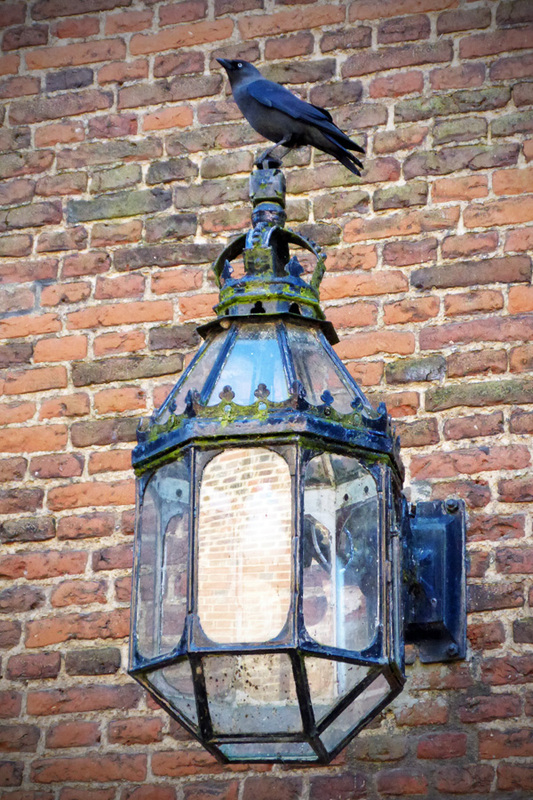 The bird is a Jackdaw, but it is still a Corvid so I will let you off. 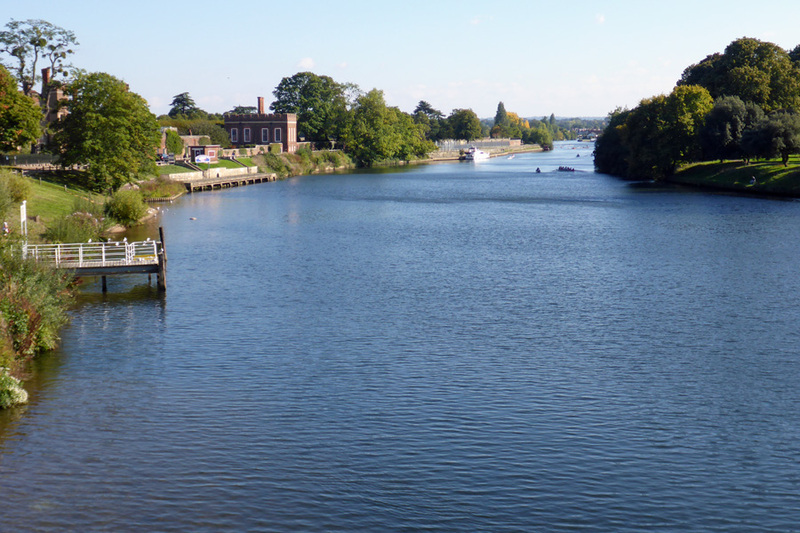 I haven’t been to Hampton Court for about 50 years, I don’t suppose it has changed much. I did feel privileged to be walking around it, sort of walking through history. I don’t think you could get food there when I went, which is a shame. I knew it was some sort of bird (the wings were a big clue for me)! The food at Hampton was really nice, we had a very pleasant sit out in Henry VIII’s garden in the sunshine, eating and drinking and watching the world go by. The palace was a favourite day out during my innocent years. I got lost in the maze many, many times! It was a great day out – and the food there was good stuff too, which always helps!